Click Here to go straight to our online store or learn more about our hoops below. Hula-hooping is low-impact, high-intensity fitness that builds functional core strength! According to the American Council on Exercise (read the article here), hooping burns 400+ calories/hour and is comparable to group bootcamp in terms of heart-rate and oxygen consumption. In addition to cardio training, hooping also builds core strength, improves balance, posture, and overall stability. 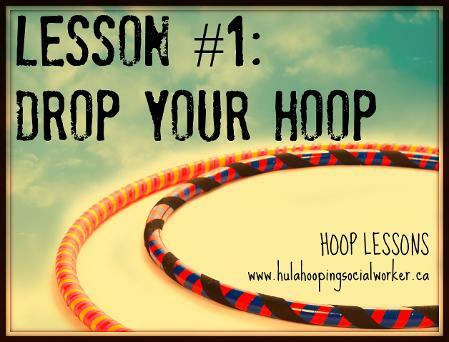 The Hoop Play program blends standard fitness hula-hooping with modern hoopdance/hooping tricks and mindful movement, so our hoops will do much more than just burn calories! What's so special about our hoops? We've spent years perfecting our design and have hooped with thousands of people to ensure we meet the needs of all hoopers: from adults who are looking for a fun workout but can't waist hula-hoop yet (try the Starter), to dancers and gymnasts who want to do impressive hoop tricks (try the Trickster, or a Kids hoop for move of a challenge! ), to kids who want a hoop that won't kink or break apart as soon as they play with it! In line with our focus on accessibility, our hoops come in three styles/four sizes to fit every hooper, are priced low at just $20 each, and ship internationally through Canada Post! We also sell Bulk Hoop Packs that are carefully selected variety packs, ideal for personal practice (the 6-pack) or teaching purposes (the 15-pack) and come with The Hoop Play E-Book ($150 value! ): a 30+ page PDF with 5+ workout/tutorial videos, a complete written breakdown of all the Level One & Two Hoop Play moves, and more! Each pack includes beginner to advanced level adult/teen hoops that fold-down for shipping purposes, kids hoops, and one 60" MegaHoop! Are you a school looking for new gym equipment? Contact us for a special rate! Want to Know More? Click Here for FAQs About Our Hoops! "My favourite hoop in my collection is the Trickster hoop that I have loved and used for three years now! I use it to teach my classes, and in my personal hoop dance practice. The 60" Megahoop that came in my instructor pack is always a favourite in my classes and everyone loves hooping in it. "